A regular home looses up to 35% of its energy through the ceiling in winter and gains a similar amount in summer. Think Pink Aerolite is Isover`s thermal and acoustic ceiling insulation solution that reduces the amount of energy required to maintain a comfortable living environment, offering a payback in less than 2 years with continued savings thereafter, keeping your home cool in summer and warm in winter. Aerolite is manufactured according to ISO 9001 Quality Management System standards and is SABS certified (SANS1381-1-). It is produced from a combination of naturally occurring minerals such as silica sand which is a sustainable resource and up to 80% recycled glass. This ensures that Aerolite is environmentally friendly, non-combustible, offers excellent sound absorption, energy savings and is easy to install and in your home. Our new fibre technology also ensures a much softer surface than before, making it more user friendly. The thermal performance of bulk insulation products is measured by their Thermal Resistance or R value. The R-value is the ability of the product to resist the transfer of heat and is the most important factor when selecting thermal insulation. 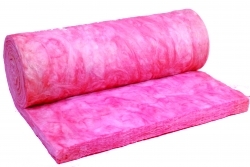 The higher the R-value the more effective the insulation. To check which thickness of Aerolite you should install to comply with the minimum R-value stipulated in SANS 10400-XA click on the climatic zones tab.